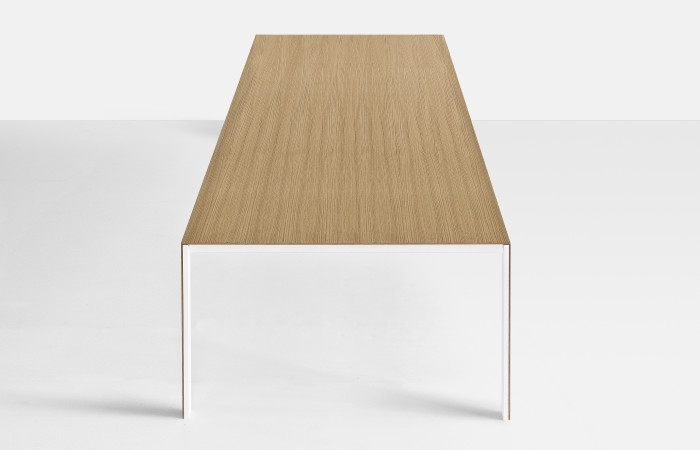 The design challenge was to create a table with a modern minimalist design and a table top only 6mm thick. 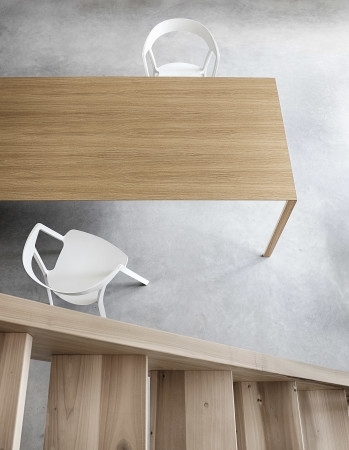 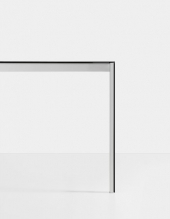 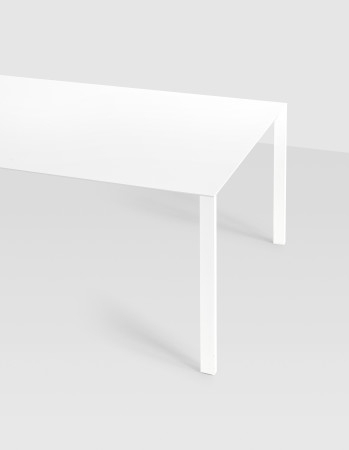 This impeccably constructed table is available in both fixed and extendable versions. 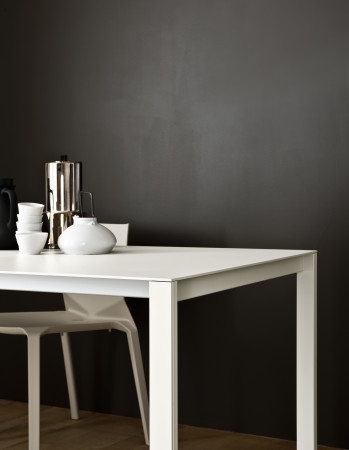 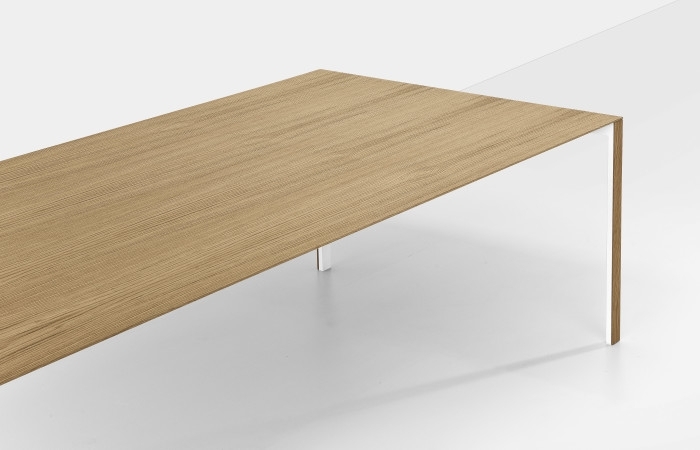 The table top may be aluminum or a wood veneer, or alternatively may be back-painted glass. 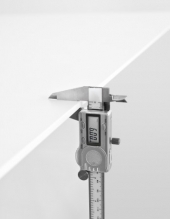 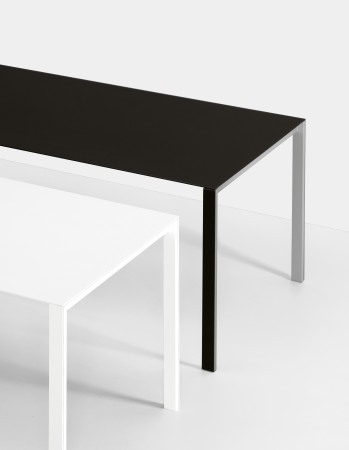 Due to the innovative nature of its construction, Thin-k tables can be altered and manipulated to the dimensions of your choosing, while retaining maximum stability and style. 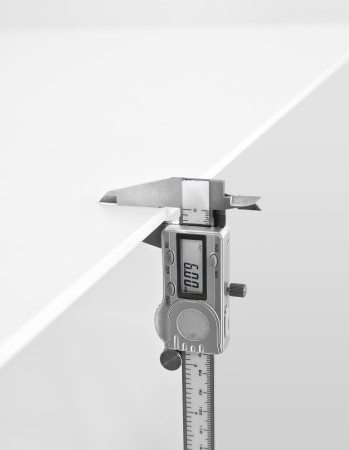 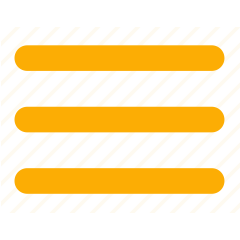 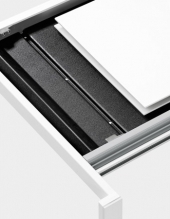 The Thin-k is highly adaptable, and can be moulded to your specific needs, style, and lifestyle. 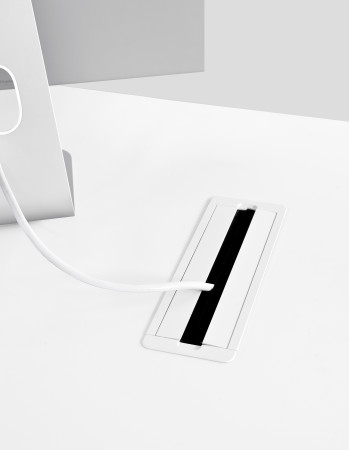 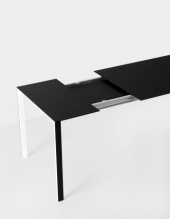 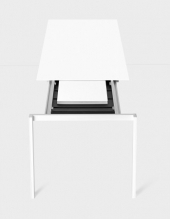 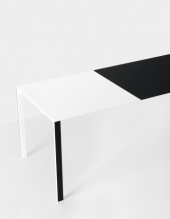 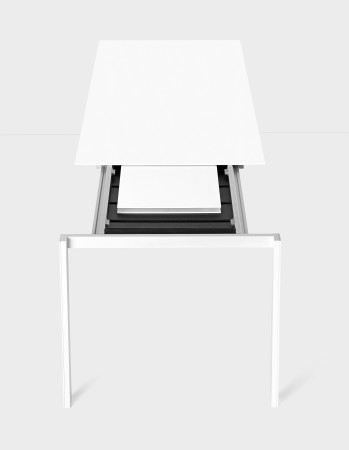 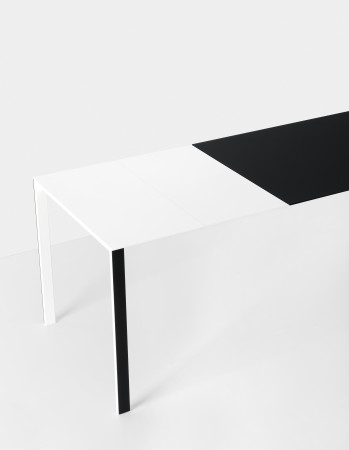 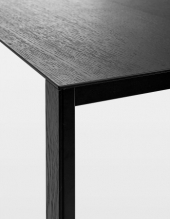 In the fixed version, the Thin-k table can be used as a sturdy work desk (thanks to a discreetly designed cable outlet), or as a meeting table. With its sleek and ultra modern design, Thin-k is also for ideal for use in the home, looking equally good in the centre of your study or living room.